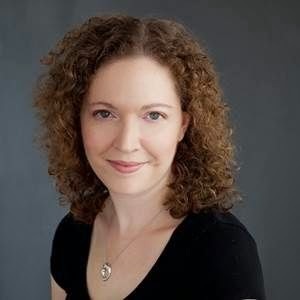 Please welcome Stephanie Feldman to The Qwillery as part of the 2014 Debut Author Challenge Guest Blogs. 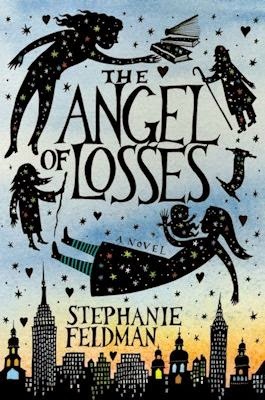 The Angel of Losses was published on July 29th by Ecco. She's describing me, as well, as I prepared to write this book. The early phase of a writing project is my favorite: I become a collector of possibilities, with no editing, no paring down, no choices that require discarding a great detail or line of dialogue or image. When I began researching my story, I was looking for Wandering Jews. I had fallen in love with the legendary immortal--sometimes sinister, sometimes tragic--I had discovered in gothic novels, but I didn't want to employ the anti-Semitic tradition that bore him. (His name doesn’t indicate faith; “Jew” signals rejection of Christ, and being “Other.”) So I decided to take him in what would be, ironically, a new direction: I would make him Jewish. I found many similar figures: Benjamin of Tudela, the Spanish Jew who documented his travels across Europe and the Orient in the eleventh-century; the prophet Elijah, who appears anonymously to help good people in need in folklore; and Rabbi Akiba, the second-century political leader and mystic who, according to legend, attempted to enter paradise, which is forbidden to mortals. I learned that mystics like Akiba practiced angel magic--using names and formulas to command angels. So I began reading whatever I could find about Jewish angels. I was prepared to continue my furious note-taking and photocopying; I worked as if I were Marjorie, writing a dissertation instead of a novel. Except here's the thing about Jewish angels: there is no canon. No scholar ever systematized the variety of claims about angels in the Bible, rabbinical texts, and folklore from the far reaches of the globe. Instead, there is an abundance of competing thought. Some sources claim that angels are perfect expressions of God’s intentions; others that they can misbehave. Some grant them human personalities; others insist they embody forces, like creation or pestilence. Some say each person has two guardian angels, while others give us four. Some say the first angels numbered 70, one for each nation on earth. Some say angels are made of half fire and half water. At first, I was frustrated—how could I create a character that honors such a wildly diverse tradition? But the big, messy nature of the subject was actually a gift. I didn’t need to serve the Angel; instead, the Angel served me, my characters, and their journeys. Yode’a, the Angel of Losses himself is referenced in a letter from the 18th-century Eastern-European rabbi Nachman of Bratslav. It is believed that the rabbi invented him. And with that—an evocative name, a concept, and no history to attend to—I was done with my angel research. I created him anew, using a few stray “facts” I’d picked up before abandoning my reading. My angel isn’t a cosmic force, but a personality with his own intentions. He has perfect knowledge of the universe, except for one thing: he doesn’t know when the Messiah will return, when God will redeem the fallen world. After the book went to press, someone contacted me. She had seen the title, and she knew about Rabbi Nachman’s—my—angel. Apparently there’s more about him, all in Hebrew, a language I don’t read. A part of me is curious, but mostly I’m content with not knowing. Not knowing is what allowed me to write this book. When Eli Burke dies, he leaves behind a mysterious notebook full of stories about a miracle worker named the White Rebbe and the enigmatic Angel of Losses, both protectors of things gone astray and guardians of the lost letter of the alphabet, which completes the secret name of God. Years later, when Eli's granddaughter Marjorie stumbles upon his notebook, everything she thought she knew about her grandfather—and her family—comes undone. To learn the truth about Eli's origins and unlock the secrets he kept, Marjorie embarks on an odyssey that takes her deep into the past, from the medieval Holy Land to eighteenth-century Venice and Nazi-occupied Lithuania. What she finds leads her back to present-day New York City and her estranged sister, Holly, whom she must save from the consequences of Eli's past. Interweaving history, theology, and both real and imagined Jewish folktales, The Angel of Losses is a family story of what lasts, and of what we can—and cannot—escape. Stephanie Feldman is a graduate of Barnard College. She lives outside Philadelphia, Pennsylvania, with her husband and her daughter. For more on her writing and inspiration, visit her at: http://stephaniefeldman.com/.